Buy this item and earn 2,999 ClubPoints. 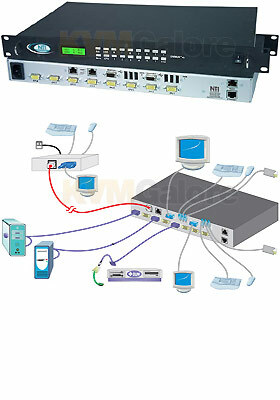 High Density, Multi-User, Matrix VGA/USB KVM Switch. 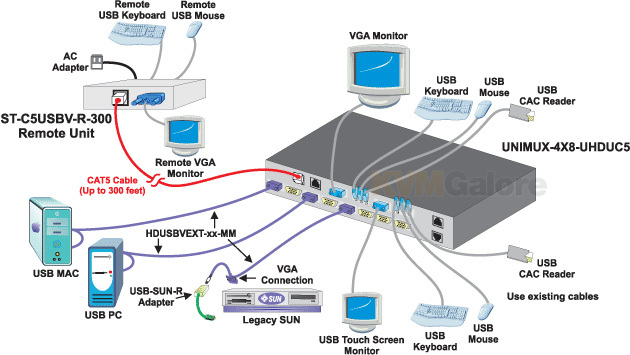 The UNIMUX™ High Density VGA USB KVM Matrix Switch allows up to 4 users to individually command or simultaneously share up to 32 USB computers. • Saves rack space: 2RU in height. Listed below are additional products to consider which are compatible with 4-User UNIMUX HD, 32-Ports. These items may be required to complete your system.